We love listening to audiobooks in my family. My daughter and I play at least one audiobook on the drive to preschool every morning. Every weekend, we visit the audiobook section of the library to find another book and CD to take home for the week’s listening. Even if your library doesn’t have an audiobook section, you can find some great audiobooks for your collection absolutely free. 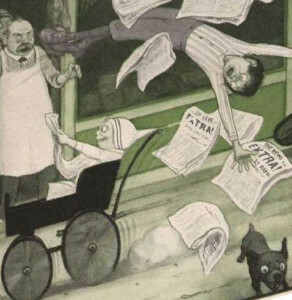 Born Reading: Bringing Up Bookworms in a Digital Age contains scores of audiobook recommendations, but I collected a few more free links for parents. In the list below, these links lead to free MP3s or OverDrive library downloads of audiobooks that we have listened to over and over and over these last few years. Over at The Wall Street Journal, journalist Geoffrey A. Fowler wrote about how many libraries have large collections of digital books for adults. They also have HUGE collections of books for kids as well. Ever since I finished Born Reading: Bringing Up Bookworms in a Digital Age, my daughter and I have been checking out eBooks every week at the library. Below, I’ve linked to simple tutorials to help parents and caregivers use OverDrive to check out kid’s books at the library. While writing Born Reading: Bringing Up Bookworms in a Digital Age, I consulted with Craig Sender, creator of the great Tablets Toddlers blog. 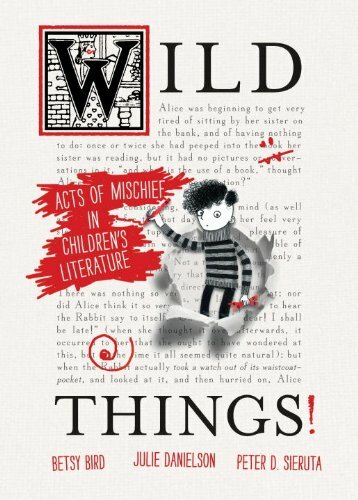 This week, New York Public Library’s Youth Materials Collections Specialist Betsy Bird and Seven Impossible Things Before Breakfast blogger Julie Danielson published Wild Things! Acts of Mischief in Children’s Literature (co-written with Peter Sieruta). Q: Betsy, you recommend A Time to Keep by Tasha Tudor as your favorite picture book as a kid. Any advice for parents reading this for the first time? Betsy Bird: My favorite picture book as a child was a throwback to 1800s nostalgia. You know why? Cupcakes. Over the weekend, we made a very simple “Shrine To Children’s Literature” at home, celebrating some of my daughter’s favorite books. In her wonderful book, Happier at Home, author Gretchen Rubin describes how she built a “Shrine to Children’s Literature” in her home. 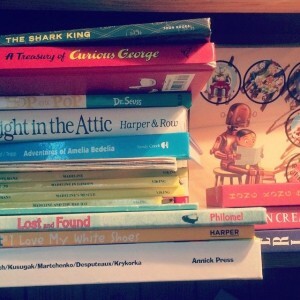 She found joy in seeing “all my beloved titles lined up together” in a proud collection. Our shrine also includes my daughter’s nearly completed summer reading program progress sheet. I shared stories and advice about all these books in Born Reading: Bringing Up Bookworms in a Digital Age. In Born Reading: Bringing Up Bookworms in a Digital Age, I help parents and caregivers master the art of interactive reading. By following my simple “Born Reading Playbook,” anyone can turn storytime into a rich, participatory experience. These techniques are more than 25 years old. Dr. Grover Whitehurst, a child development expert who would go on to serve as director of the Institute of Education Sciences at the Department of Education, helped develop a program called “dialogic reading” in the 1980s. 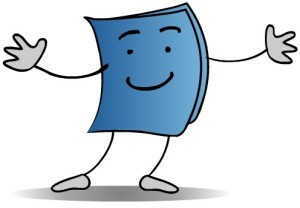 Does your library have a TumbleBooks account? At both of my local libraries, young readers can tap into this online collection digital picture books for kids. 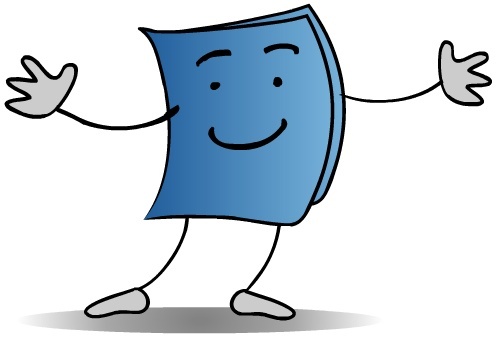 If your library has an account, you can access the program on computers, smartphones and tablets. 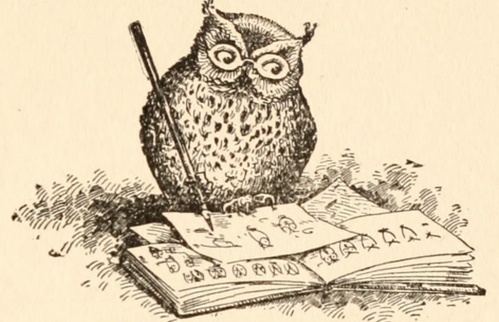 To help parents navigate this resource, I’ve included the titles of my ten favorite TumbleBooks below. 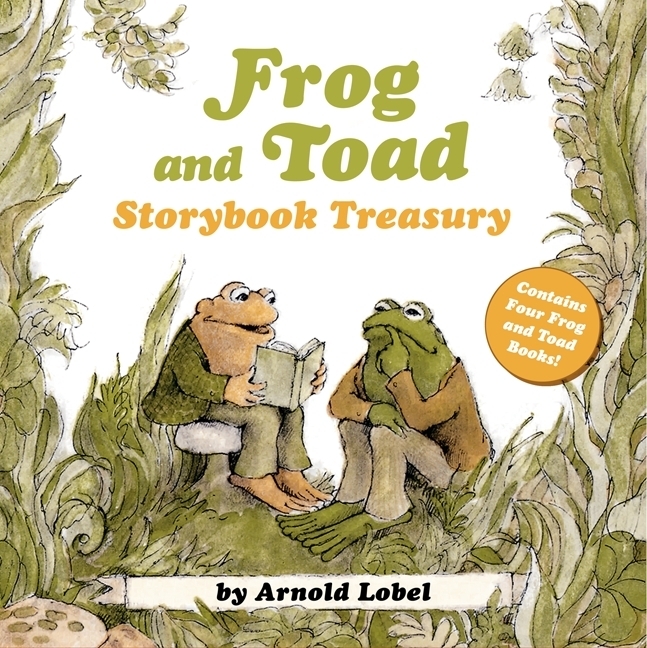 Simply visit your library’s online page and click the TumbleBooks link to access the collection. You can search for these individual titles by name. You may have read one of his more famous books like The Paper Bag Princess or Love You Forever. Kids love his loopy sensibility, and the books are funny enough to keep parents engaged as well. 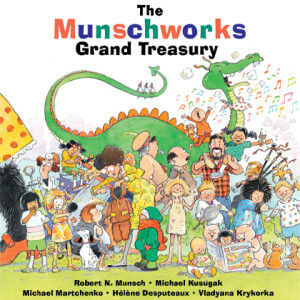 Munsch also has a great website, loaded with free digital materials that kids and parents can share. Below, I created a Born Reading Bundle that explores the life and work of Robert Munsch. 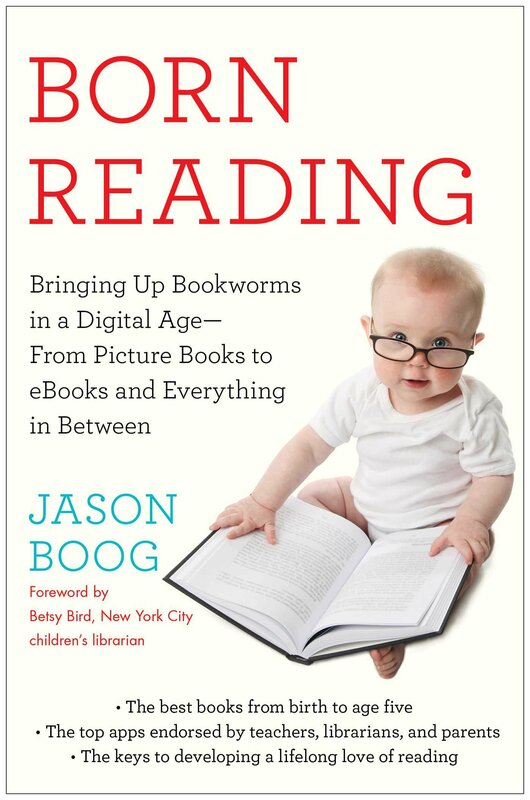 While writing Born Reading: Bringing Up Bookworms in a Digital Age, I interviewed teachers, librarians, child development experts, neuroscientists and many other professionals. 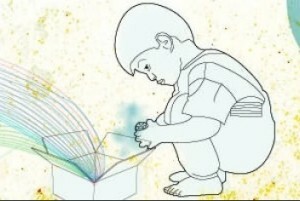 In the book, I distilled their advice about interactive reading into a simple “Born Reading Playbook” for parents to use when reading. To supplement that material, I created the free Born Reading: Storytime Tips from Great Readers slideshow collecting interactive reading tips from some of the best readers I met along my journey, including poet Nikki Giovanni, comic book creator Stan Lee and Reading Rainbow host LeVar Burton. 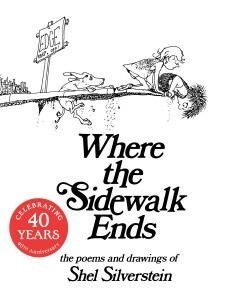 When I was in grade school, Shel Silverstein’s books were perpetually checked out at the library. His silly and mischievous poems will inspire any kid. 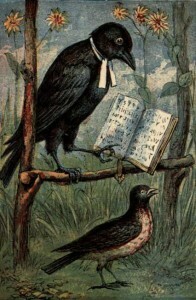 It was the first poetry I encountered as a young reader. If you struggle to keep kids entertained while reading a book, you should listen to Silverstein’s rock star reading style. He can make any kid giggle and his poetry begs to be read out loud. Listening to his readings is like a graduate level course in the art of interactive reading. Below, I’ve built two free playlists illustrating his superb reading style. If you go to Spotify and open up a free account, you can listen to the master read nearly 100 poems.